What does a retrofit cost? Our typical project costs between 5 and 12 thousand dollars. "Typical" is defined as a home of average size on a cast concrete foundation, either a crawl space or an unfinished basement, with no unusual structural issues. The most common reason for a project to exceed that range is if the basement is finished and we have to remove and replace siding or interior wall coverings (sheetrock, paneling) to perform our work. Finished basements tend to run 15 to 20 thousand dollars, sometimes more depending on the finishes. Other complicating factors include large size, concrete block or brick foundation, lack of foundation, foundation cracks, a steep site, many windows on the lower level, a home over three stories (including basement), or an especially tall cripple (pony) wall. Retrofitting is dirty, noisy, and strenuous work, but is not beyond the capabilities of a handy and adventurous homeowner. If you decide to tackle the project yourself, we urge you to educate yourself and make sure it is done right. 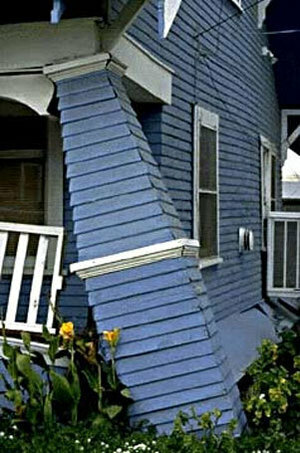 A partial or improperly done retrofit may make your house MORE vulnerable to destructive twisting forces, leaving it less safe than if you had done nothing at all. It is important to install the right bolts, bearing plates, hold downs, framing clips, and shear panels; at the right spacing; with the right methods. Seattle and most cities require that this work be done under a building permit, and the building inspector will make sure that your work is done properly. 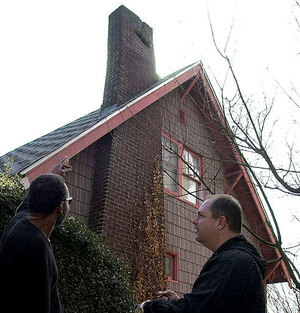 The city of Seattle sometimes teaches classes for homeowners on the basics of seismic retrofitting, as does the Phinney Neighborhood Association. We have links to resources that can help ensure that you do the work properly. Most jobs take less than a week, though more complicated homes may take longer. If we expect your project to be outside of the standard range, we will certainly let you know. If I call now, when can you do the work? We'll let you know what our current lead time is, but between our work load and time required for permitting/engineering, you may be waiting two months or longer for the on-site portion of the project to begin. Where can I learn more about retrofitting? Our web site has lots of useful information, starting with some of the basic retrofitting elements. On the "Project Impact" page, you'll find some very informative brochures that get into more detail about retrofitting, as well as a hotline that will let you know when the next homeowners class is taking place. Our Links page will take you to the web sites of several other agencies that focus on helping you prepare for disasters. Can you do the work without a permit? NO. Almost all of Western Washington's communities have followed Seattle's lead. Seattle was part of the pilot Project Impact program, which created retrofitting standards and improved the permitting process making it easier and less expensive to secure a building permit for this work. All this was done so that homeowners would have the work done under a permit, to ensure that building inspectors would inspect the work, to ensure that the proper elements are installed properly. The advantages to you are numerous: disclosure implications and increased resale value should you sell your home, assurance that the work is done safely and properly, and eliminating the risk of being fined or having your job shut down. My basement is finished - can you still retrofit it? Yes. Sound Seismic has carpenters and trade specialists available to repair sheetrock, paneling, siding, or other elements that must be opened up to perform a retrofit. Of course, this finish work does add some cost to the project, often about doubling it. I want to upgrade the wiring and/or plumbing before installing shear panels - can you help? Doing any planned upgrades to wiring or plumbing before plywood goes up is a great idea. Let us know if you'd like us to include that work, and we will have our plumber and/or electrician quote the work. Other things you might want to think about are whether you plan to add any future windows, insulation, etc. Will this earthquake-proof my house? This work WILL reduce the likelihood and severity of damage in an earthquake, but if "the big one" is big enough, all bets are off. Retrofitting only makes your house safer - which may make the difference between your home being survivable or not, or perhaps liveable or not. Yes, older homes usually have lead paint on the exterior siding and trim, and sometimes at interior areas as well. Any contractor doing demolition is REQUIRED to be EPA certified lead renovators, and is REQUIRED to perform testing of all painted surfaces to be disturbed. If the result is positive for lead, the contractor is REQUIRED to follow strict protocol to contain the area, prevent airborne dust, and follow rigorous cleanup procedures and documentation. Just putting a HEPA filter in a Home Depot shop vac will NOT protect your children from the lilfelong harmful effects of lead exposure. With Sound Seismic, you will have a certified lead renovator oversee the demo, and all required procedures will be followed. Beginning in 2018, OSHA and the state of Washington instituted rigorous requirements to prevent workers (and occupants) from exposure to hazardous concrete dust. Respirable Silica is considered "the new asbestos", and can cause chronic, incurable, and life-threatening breathing conditions. At Sound Seismic, we upgraded all concrete drills and vacuums to comply with the new standards, a significant but necessary investment. If a contractor does not specify that they will use the required shrouds, along with a full HEPA vacuum system with an automatic filter cleaning mechanism, they are illegally exposing their workers, and you, to hazardous materials. What magnitude earthquake will this protect my house from? There are far too many variables for any engineer to predict what effect a particular magnitude of earthquake may have... What are the soils like under your home? Are they prone to liquefaction? How near is the epicenter? How deep is the quake? What is the lateral acceleration? We do know that retrofitting works. The standards for methods and materials were derived from analysis of previous destructive earthquakes - what made the difference between houses that survived the quake and houses that didn't? The results are proven to work, but the results are anecdotal rather than predictable. See our "Does It Work?" page for a powerful example. Is the work dirty, noisy, and disruptive? Retrofitting certainly can be dirty and noisy. We can't do a lot about the noise, but we can promise that we will work as efficiently as possible to minimize the duration of the job, and that we will take care to protect your home by using dust barriers, drop cloths, fans, vacuums, etc. We clean up after, and often during, each work day. We will do our best to minimize the disruption. Do I need to retrofit in order to get earthquake insurance? You'll need to ask your insurance agent to be sure, but we are often asked to retrofit homes because it is required for earthquake coverage. When we are done, you will have a signed off building permit, plans indicating the work that was done, and a Sound Seismic certificate stating that your home has been retrofitted to Project Impact standards or a structural engineer's specifications. This satisfies insurance requirements. I have earthquake insurance - do I still need to retrofit my home? That's like asking, "I have car insurance - do I still need to have my brakes fixed?" Most earthquake rider deductibles are very large - from 10 to 20 percent of the home's value. That means if you have a $500,000 home, you have to pay for $50,000 to $100,000 of damage before you collect a nickel of insurance money. And think about it - if there is a major earthquake and your home is damaged, it's probably not the only one. Contractors will be inundated with repair calls and may take months to get to them all. What will you do if your home is not habitable until you settle the insurance claim and find someone to get the repairs done? Absolutely. If our reviews on Google, Yelp!, and Angie's List aren't enough, we will share references with you. We have hundreds of satisfied clients dating back to 1999. Once your work is done, we may ask to include you on that list. How do I know you are qualified to retrofit my home? Great question! We strongly urge every homeowner to check out any contractor they are considering hiring, especially for this highly technical work. First, ask if the company owner and technicians have completed the UW course Home Retrofitting for Contractors. Everybody in our company has, and we are happy to provide proof. Second, check the list of trained contractors at the Seattle's Emergency Management web site. We're listed under Sound Seismic. Also, check with the Better Business Bureau. There you can find out if a contractor or any other business has a history of unresolved complaints. We're not a member, but you'll find that our record is spotless. Finally, visit Washington State Department of Labor and Industries' web site to check that your contractor is registered and bonded, carries liability insurance, and is current with workmen's compensation insurance on any employees. All of those are required to operate as a contractor in the state of Washington. If you want review of companies straight from other unbiased homeowners, sign up with Angie's List. I don't live in Seattle - do you work in my area? We work in Seattle and surrounding areas. The further you are from Seattle, the closer we will check to make sure your project is a fit. Please don't take it personally if we tell you that we can't help with your home. While we would like to help everybody, we fear that our service would suffer if we spread ourselves too thin. Sorry. How do I get the process started with Sound Seismic? Call us or send an email. We will talk to you about your home and what it might take to retrofit it. If you invite our estimator to your home, he will assess whether your home is a candidate for a retrofit. If it is, he will provide a rough estimate of cost. It's OK to thank him for the information and tell him "no" at that time, or you may ask him to prepare a fixed-price proposal. A retrofit is a retrofit- can't I just have my handyman do the work? This work is technical and should be performed by a contractor who has completed the contractor's training. I'm considering adding a 2nd floor at some point in the future- does that affect the retrofit? Yes. Let us know if you have plans to enlarge or alter your home. We can ask our engineer to accomodate the addition when specifying the elements we will incorporate into your retrofit. An additional floor may require more and larger bolts, and may require us to treat a larger percentage of the perimeter wall. This will involve a modest increase in cost, but is much less onerous than re-doing our work at a later date. We can also design the retrofit around future windows or doors in the basement. Just let us know where you imagine them, and we will see if we can achieve the required engineering values without treating that area. Will this save me money on my EQ insurance? It may. More likely, this work will make the difference between qualifying for earthquake insurance or not. If your insurance company does not require that homes be retrofitted before issuing earthquake insurance, they may well offer a discount if your home is retrofitted. Ask your agent. Will this add value to my house? Many homeowners and potential buyers understand the importance of home safety, and are willing to pay more for a retrofitted home. Given the relatively modest investment required for most homes, it is likely that the cost could be recouped when the home is sold. I have a block foundation. Can I still get my house retrofitted? When we began retrofitting, all methods required a cast concrete foundation to bolt to. Back then, a block foundation would require substantial reinforcement to allow us to secure a house to it. The past few years have produced new hardware and techniques that allow us to secure homes to block foundations for close to the same cost as for homes on concrete foundations. Ask our estimator to explain this technology! I am considering having my basement finished after the retrofit. What should I think about? First of all, good job planning the retrofit first. You'd be surprised how many people call and say they just finished their basement and now they want to retrofit. We can do it, but it's less expensive if the retrofit is performed first. Wiring - do you want any wiring in the exterior wall? It may need to be installed before we install our shear panels. Plumbing - Are your water pipes galvanized steel? If so, it might make sense to repipe before the retrofit. Furthermore, having a plan for the future of the basement can help locate plumbing. Windows - Bedrooms require windows that meet special egress requirements for fire safety. We need to know where any future windows will be located so we can work around those areas. Why is it important to have the work performed by a certified EQ retrofit technician? Our certifications ensure that we have an understanding of the engineering involved, as well as specific training on installing the various elements of a retrofit. As important as the training is, experience is even more valuable. Our estimator evaluates houses every week (since 1999), and our technicians perform retrofitting work every day of the week. Our experience allows us to come up with the best solution for those inevitable problems, and to do it fast so it doesn't prolong our work on your home. Who is going to be supervising my job? You will have the same production manager and lead technician supervising your job from start to finish. These are specialists who do retrofits almost exclusively. These two will be your primary points of contact. Who will do the work? Are they subcontractors? How are they paid? Do they have benefits? We will assign a dedicated retrofitting crew to your project. These are full-time, permanent employees of Sound Seismic. We pay all of our team members a fair living wage, and offer full benefits. We think our crew of technicians is the most professional in the business, largely because of the stability and security provided by a retirement plan, paid vacations and holidays, and medical/dental/vision insurance. Could we offer a lower price if we used day laborers to perform the work? Probably, but that is not how we choose to do business. Usually not! We always start with a telephone call. We will ask you for your contact information and will look up records and photos of your home. We can usually help you understand what work is likely to be needed and give a "ballpark" estimate, as well as information about timing (job duration and Sound Seismic's backlog). Often this is enough information for homeowners. If more information is desired, we will tell you what the next step should be. If your house is a candidate for a retrofit, and if you let us know the ballpark is reasonable, we will let you know if an estimate requires a fee or not. Sometimes the next step is a referral to a professional who might be better positioned to help you with your home.